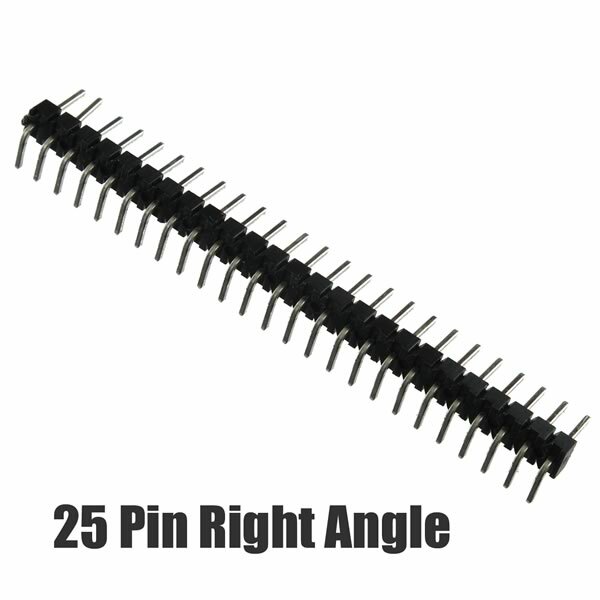 25 pin single row right angle snap apart (breakaway) male header. Features 0.10" (2.54mm) mating post length and 0.226" (5.75mm) termination post length. Overall header height is approximately 0.40" (10mm). Standard 0.10" (2.54mm) pin spacing. Tin plated pins. Sold in a package of 2.